All units are fully equipped with gas or electric heat, bath or showers, refrigerators, stoves, microwaves, auto-drip coffee makers, and completely furnished with linens and kitchen utensils - just bring your own towels and soap. Barbecue grills and picnic tables are available at each cabin. 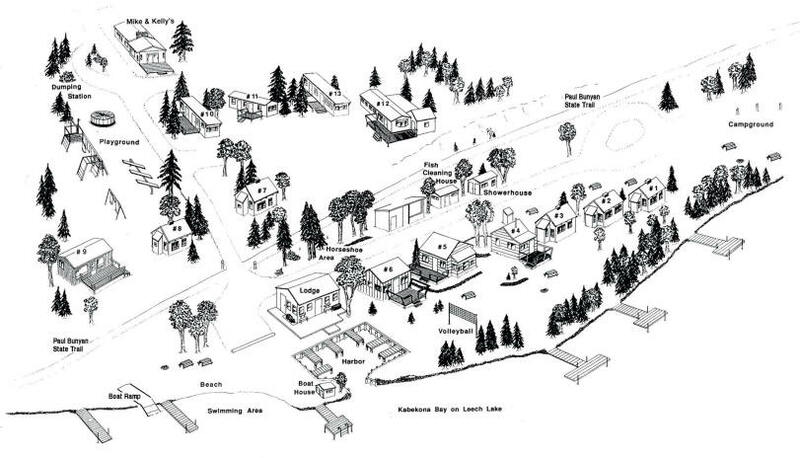 Cabins #1-6 are located on the lake, and cabins #7-13 are above the state trail, overlooking the beach area. One harbor space is provided with each unit rental. Additional spaces may be rented if available. 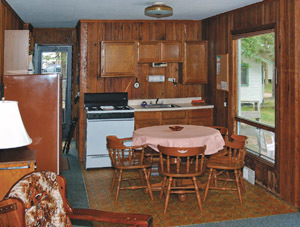 Cabin weekly rentals run from Saturday to Saturday during the months of June through September.